How will you celebrate Memorial Day in 2018 in the La Grange, IL area this year? Many of us consider Memorial Day to be the beginning of summer. Our grandmothers approve of us wearing white shoes now. Plenty of us get an extra day off work. The kids are out of school. We tend to think of fun, food, and sunshine. This year, you can enjoy the holiday and find ways to honor the veterans for whom the tradition was begun in the La Grange, IL area. Don’t miss out on local fun, and opportunities to show your appreciation for the sacrifice our veterans gave to us. Find out about and contribute to charities that support veterans. Local examples include Veterans of Foreign Wars, the Wounded Warrior Project, Hope for the Warriors, Iraq and Afghanistan Veterans of America, and Homes for Our Troops. Decorate a military grave. Find a cemetery near you. 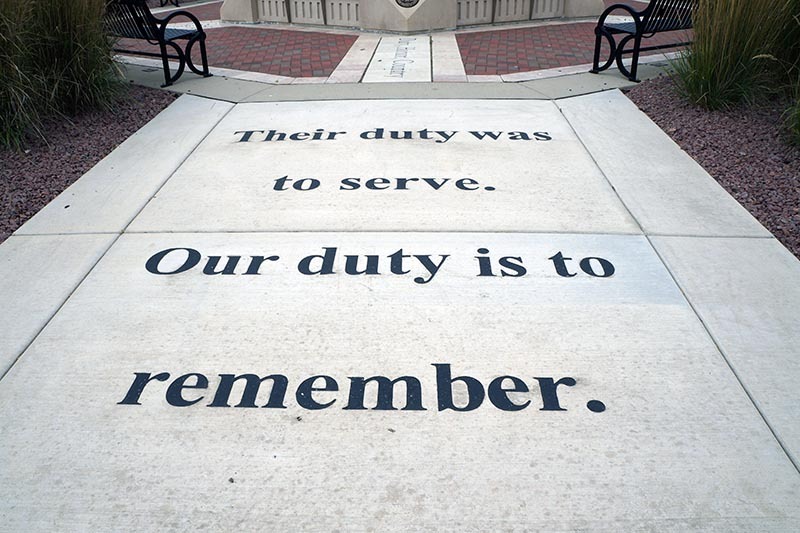 Visit a local veteran’s memorial or museum. There are three state memorials and several local memorials in La Grange Park, Brookfield, and Western Springs, IL. In September of 2014, after much planning and hard work, the Village of La Grange Park, IL dedicated the Veterans Memorial Plaza in their recently remodeled Memorial Park. The memorial honors all veterans, living and deceased, whether they served in peacetime or in war. It is a living memorial, with more bricks dedicated each year. This year they will hold their fourth annual Memorial weekend ceremony on Sunday, May 27, 2018 at 1:00 p.m.
Everyone loves a parade, so be sure to head over to Western Springs, IL for the annual Memorial Day Parade on Monday, May 28 from 10:00 to noon. Organized by the VFW Post 10778, you can also hear the Lyons Township High School band and the winner of the this year’s high school senior guest speaker contest. 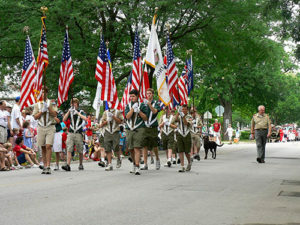 The folks in Hinsdale celebrate Memorial Day on Sunday, May 27th with their third annual Race to the Flag 5K. Proceeds go to the People’s Resource Center. The race starts at 8:00 a.m. just down the road at Ty Warner Park in Westmont. One of the perks of living in the La Grange, IL area is close proximity to the great city of Chicago. Less than 15 miles away, and accessible by public transportation, Chicago is the place to be on Memorial Day weekend. Things kick off on Saturday, May 26th with a wreath ceremony at 11:00 a.m., and the parade follows at noon. The parade is in its 15th year and usually attracts about 10,000 people. Stick around after the parade for the Randolph Street Market’s official outdoor and indoor kickoff, also celebrating its 15th year anniversary. Finally round out the day with dinner and a fireworks display at Navy Pier. Absolutely nothing says summer more than the good-old fashioned BBQ. Don’t feel like guarding the grill this summer? Pack up the family and head over to Westmont for their Red, White, and Blue Bar-B-Q festival and competition. Starting at 4:00 p.m. on Friday, May 25th, the festival goes through Sunday, May 27th, wrapping up at 9:00 p.m. The best part is that entry and live music are free! And to go along with all the delicious food, there is a beer tent for the grown ups, and you and the kids can enjoy the carnival. If you prefer to keep things low-key, host your own BBQ. Not only will you have control over what you eat (even if you don’t have self-control over how much), it’s a great way to start thinking about how others see your home if selling your home might be on your mind. What types of things might you do to spruce it up a bit? Ask your guests for their opinions. And of course, be sure to invite one of the most experienced realtors in the La Grange, IL area, Nancy Miller with Coldwell Bankers. She would love to meet you and help you make the most of your home buying and selling experience.